Update, April 26: Fortnite’s llama broadcast is sending us a message. The emergency broadcast that appeared on Fortnite’s television sets yesterday has been revealed as a message. According to dataminers TwoEpicBuddies on Twitter, the televisions are broadcasting in morse code. Prepare for the invasion with our tips guide to help you get better at Fortnite Battle Royale! The message reportedly reads “They don’t want us to k…” It’s pretty safe to assume that’s a cut-off attempt to write “They don’t want us to know,” which ties in to some of the theories that the Fortnite meteor is actually the start of an alien intervention. 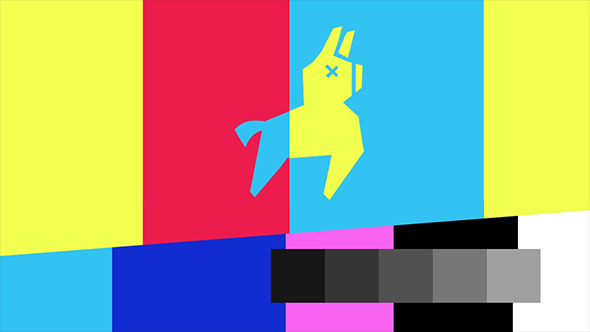 Original story, April 25:Fortnite’s televisions have started playing an emergency signal, bearing the image of a llama (viaFortnite Intel). This seems to be the event promised earlier today by an easter egg left on the roof of Tilted Towers, and first noticed by usermateybob on Reddit. Now some sound files related to the TVs playing that broadcast have been uncovered, and it seems they’re broadcasting morse code. TwoEpicBuddies on Twitter have translated that to “They don’t want us to k…” Feel free to put any word beginning with K there, but “know” certainly seems the most fitting. Since a strange celestial object appeared in the skies over Fortnite it has been the topic of fan speculation. While the most common theory suggests that it is a comet hurtling towards Tilted Towers, a new idea has emerged with the latest update – that this ‘comet’ is actually alien, and is being accompanied by UFOs. Besides the ongoing space theme running through Season 3, the evidence for this comes from Reddit user Niels_Kooloos, whose video shows a strange, glowing, flying saucer-like object in the sky next to the comet. As mentioned, Epic have added a number of items to the top of the towers designed to feed into fan theories, including several protesters’ signs. One of these promised something was going to happen today, and this seems to be the emergency broadcasts. The image on another such sign, however, shows a white object in a pink love heart. This exactly matches the UFO spotted by Niels_Kooloos. There seems to be a connection to Fortnite’s Save The World mode too. User Kensyys on Reddit posts about the new alien-themed mission, where a friend of Lars has been abducted by aliens. The mission involves building a large telescope in order to see the alien ship in the sky, so it’s also notable that, back in Battle Royale, Epic have added a telescope on Tilted Towers which is pointed directly at the ‘comet’. While it is still entirely possible that all this might be an extended April Fool’s joke by Epic, the evidence seems to be pointed to something more. With the conclusion of Season 3 next week on April 30, and these emergency broadcasts now lighting up TVs in the game, players might not have long to wait to find out.